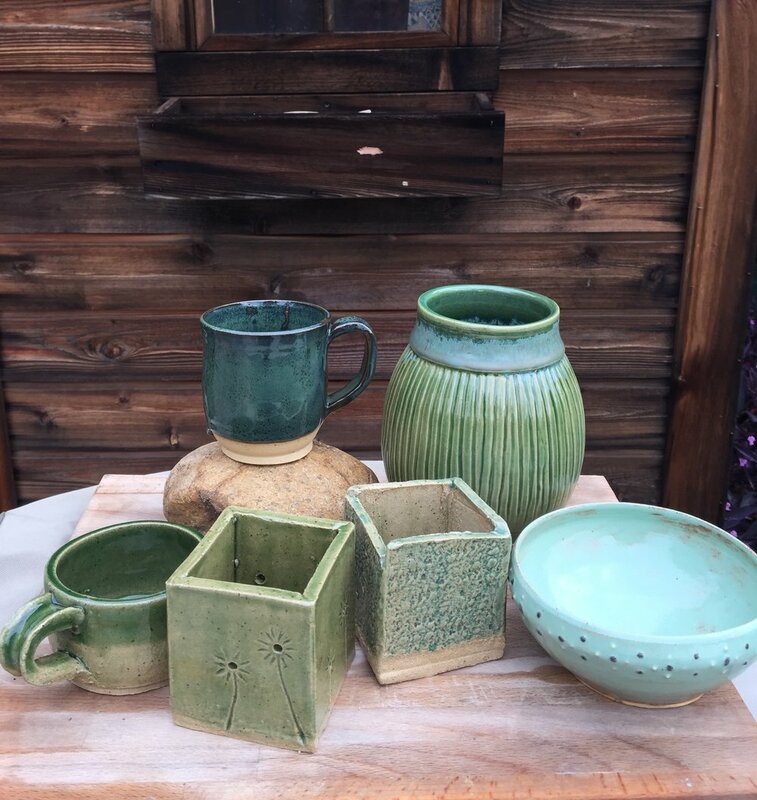 Green glazes from Mud Lily ceramics classes, pottery workshops, and studio potters. Spring is just around the corner! Amaco True Celadon, Coyote Pistachio Shino, Coyote Pam’s Green, Laguna Cerulean, Coyote Gunmetal Green. Work by studio members and students.